There was a time when people used to refer newspaper columns to get information on current job openings. Now things have changed. Getting yourself recruited in finance, IT, Government, Medicine or any other sector has become much easier, thanks to the best job sites and their apps. As there are millions of job seekers in India, these sites have a huge database of resumes. The resumes are shared with HR professionals via a website interface. The interface allows HR’s to find the best candidates. So make sure that your resume is updated with correct education, certification, training, skill details. Below, we’ve shared the list of the best job in India. We have also shared the official apps of the websites. If you’re using a mobile device, use the apps for a better experience. Naukri: Naukri is a site owned by a company called Info Edge. It is the most popular job portal in India. Naukri is updated daily with 100’s of new Jobs in various categories (including Government sectors). This website allows its users to create profiles, upload, and change resume. Users should create a Naukri account before they can apply for a job. Everyone is allowed to explore job listings. The most interesting feature of this site is its Job alerts utility. This service collects some information from the user. When it finds relevant matches, Job alert tool will automatically notify users through an email. Monster: Monster is the 2nd most popular recruitment portal in India. This site can guarantee you a job if your resume is up to the mark. When I applied for a job through Monster India, I started to get Interview calls from the 1st week itself. FreshersWorld: In my perspective, this is a perfect job site for beginners and experienced professionals. 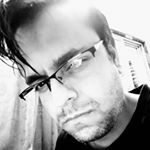 Freshersworld has interview questions section. Thus, users can thoroughly prepare themselves before appearing for an interview. FW gives you access to 1000s of job preparation materials. LinkedIn: Whether you’re a professional or a fresher, LinkedIn site can help you find a new job that pays well. LinkedIn app or website allows users to join groups created by HR professionals for top companies. The professionals share job openings. LinkedIn lets you create a resume like online profile where you can mention your skills, experience, education, etc. You can connect with other professionals with same work profile as yours. Shine: Shine may not be as popular as Monster, Naukri or FreshersWorld, but it can still get you a good job. It lists opening from various top organizations. 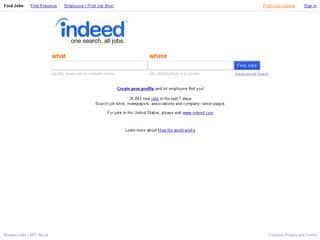 Indeed: ID is popular job search engine. If you’ve used Google then using Indeed won’t be difficult. This site maintains information on the latest and the newest jobs. It gets information through Naukri and other popular recruitment sites in India. The Indeed website has filters to shortlist job. It is easy to use. TimesJobs: TJ is job portal owned by India’s largest media house – the Times Group. Thus, you can expect some high-quality listings on this site. The website/app of TtimesJobs is easy to use. You can explore job listings for free. But to apply for jobs, you must register an account on TimesJobs. CareerBuilder: CB offers similar features as the above sites. CareerBuilder service is active in more than 50 countries. It is a useful site for people who’re planning to move to another country for a job. CareerBuilder has a simple, but powerful interface. GlassDoor: GD’s website and the official app makes you aware of the salary structure of an organization. Real employees update the information available on this site. Thus, information on GlassDoor is authentic. It is one of the best job sites in India. Apart from the providing salary details, GlasDoor allows users to search jobs. According to Glassdoor, 100+ million jobs have been posted on GD so far. Skillpages: This site allows you to build or join a network where you can share or find jobs. It supports Google+ and Facebook login. Freshers and working professionals are requested to upload their resumes to all above best job sites in India to increase their chances of getting recruited. Some portals we’ve shared above offer premium services in which they’ll make your professional resume, make you aware of new job openings through a phone call, etc. Instead of using this service, appear for certification exams like CCNA, SCJP, MCSA, etc. Certifications from top companies will boost your career. Also see: Best freelance websites and How to make extra money online? India is a country with a large population. Over a million people apply for jobs at various firms. Out of the million applications, only a few hundred people are hired by the HR professionals. Don’t be disappointed if your job application is rejected by one firm. Use the apps we’ve mentioned in this article and apply to all jobs that match your profile. Clickjobs.com – 435000 jobs . Clickjobs owner has been arrested by Delhi police. Click job is still running. B*****d people. and what about the people who were running it? Who was behind this scam?